A week old baby lies in one of the ICU bays at one of the Norton Children’s Hospital neonatal intensive care units in Louisville, Ky. This particular NICU, is dedicated to newborns of opioid addicted mothers, that are suffering with newborn abstinence syndrome, is kept dark and quiet due to increased production of neurotransmitters in newborns of addicted mothers, which can disrupt the nervous system and overstimulate bodily functions. Sarah Sherbert poses for a photo in Anderson, S.C., holding photos of her children when they were infants. 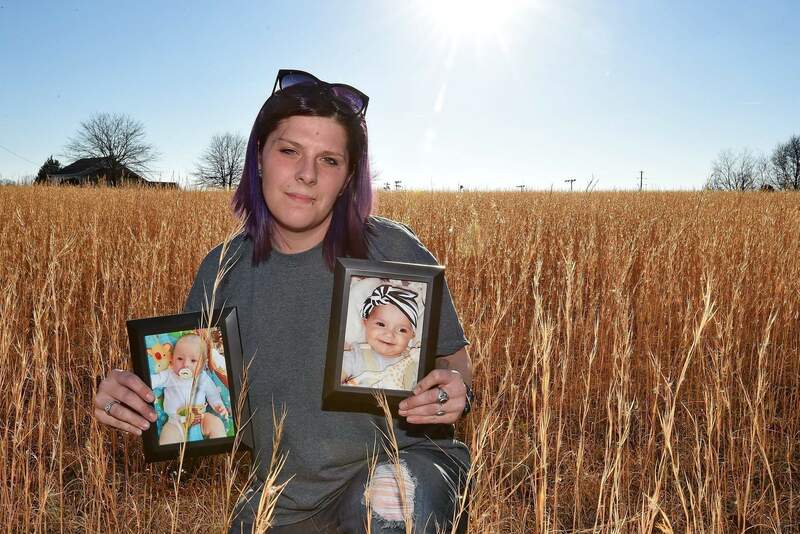 The two babies, born 15 months apart when she was overcoming opioid addiction, got two very different treatments at two different South Carolina hospitals. The different approaches highlight the fact that no one knows the best way to treat the opioid epidemic’s youngest patients. 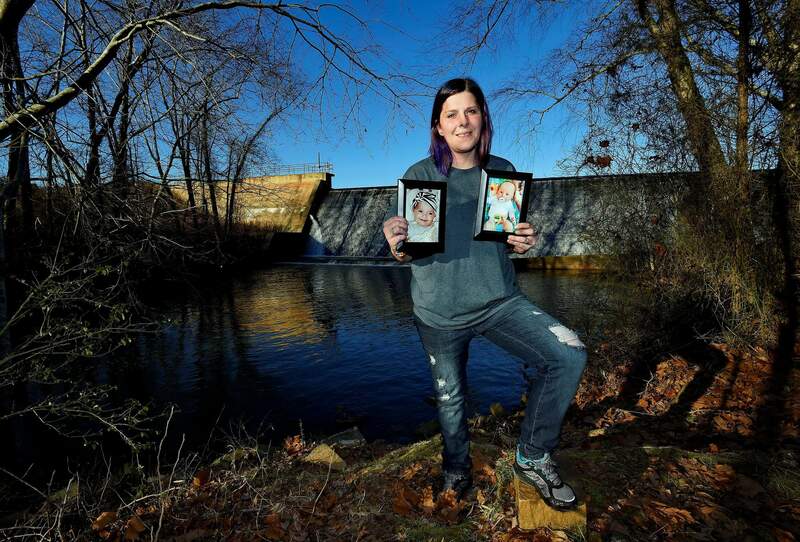 Sarah Sherbert poses for a photo in Anderson, S.C., holding photos of her children when they were infants. Sherbert, 31, said her drug use began eight years ago after she was prescribed opioid painkillers for injuries from a car accident. 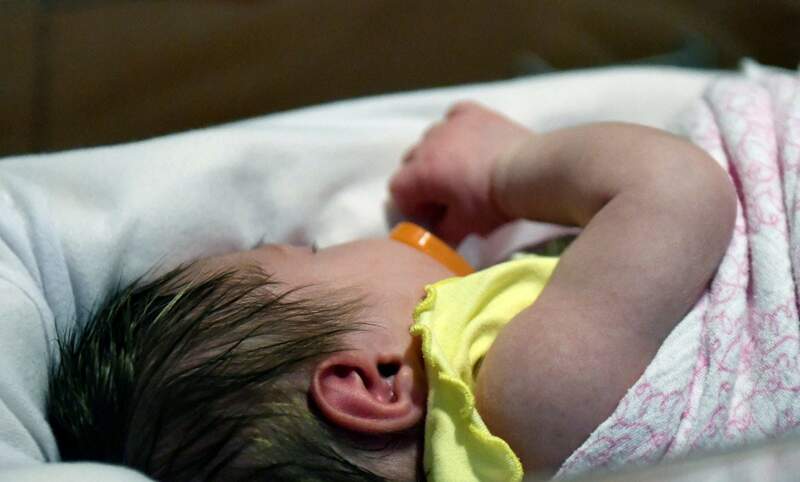 She was on methadone prescribed by her doctor when her daughter, now 3, was born. 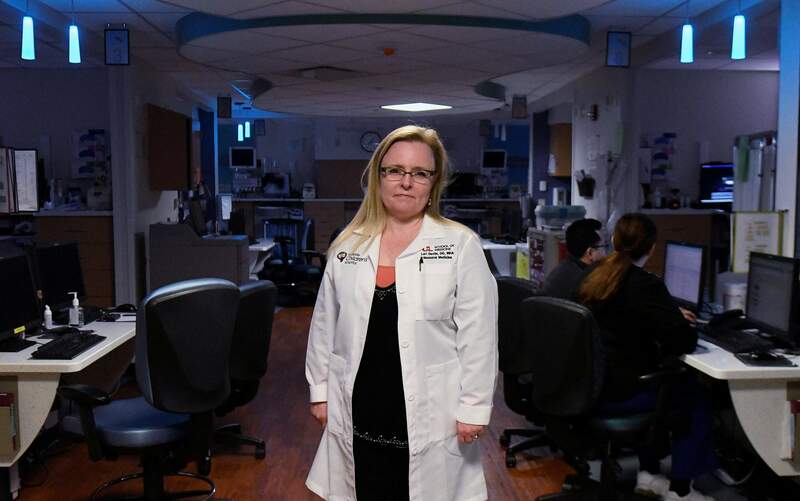 Dr. Lori Devlin, stands in one of the Norton Children’s Hospital neonatal intensive care units in Louisville, Ky. This particular NICU, is dedicated to newborns of opioid addicted mothers, that are suffering with newborn abstinence syndrome, is kept dark and quiet due to increased production of neurotransmitters in newborns of addicted mothers, which can disrupt the nervous system and overstimulate bodily functions.